FEA Training Consultants Inc. provides FEA and CFD engineering consulting services for stress, safety factor, thermal, design optimization and computational fluid flow analysis using advanced stress and fluid simulation programs. Our goal is to act as a seamless extension of your company’s engineering department and help you to make your mechanical designs safe and efficient. As part of FEA Consultants full service Design Engineering Team based in Mississauga, Ontario, the Design Simulation Group is involved in some of the most demanding mechanical stress and fluid flow simulation projects in industry today. Supported by FEA Consultants long history of finite element and fluid flow design simulation expertise and collection of industry professionals, the Design Simulation Group is capable of handling the most demanding mechanical stress and fluid flow engineering projects. We provide FEA consulting services to companies located in USA and Canada. Request a quote or contact us by email info@fea-tc.com or call us at 905-990-0094 for more information. 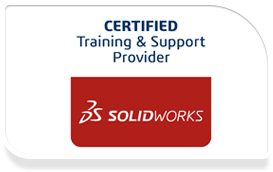 FEA and CFD software sales,training and mentoring services.